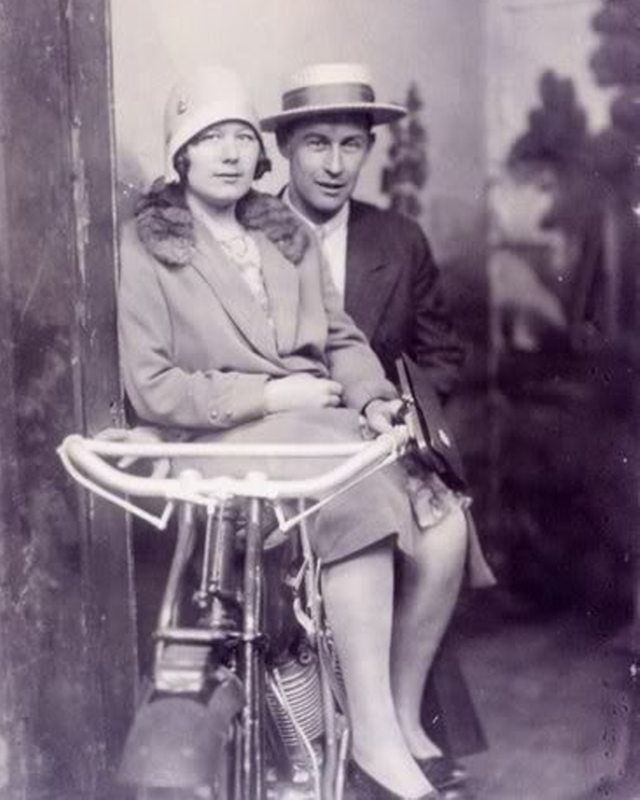 These two happy people pictured on "his" motorcycle is from a local photo album. Brand of motorcycle is not told and I cant really figure myself. It`s neither HD or Injun, maybe an Exceslior? I just love the look of mechanical controls from handlebars to throttle and magneto advance. By no means will ever simple control wires give the same appearance.